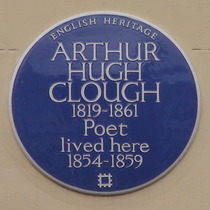 Arthur Hugh Clough, 1819 - 1861, poet, lived here, 1854 - 1859. The fanlight of this house carries a surprising work in stained glass depicting Mickey Mouse carrying a Union Jack and Donald Duck with the Stars and Stripes. Donald might be cutting a ribbon. 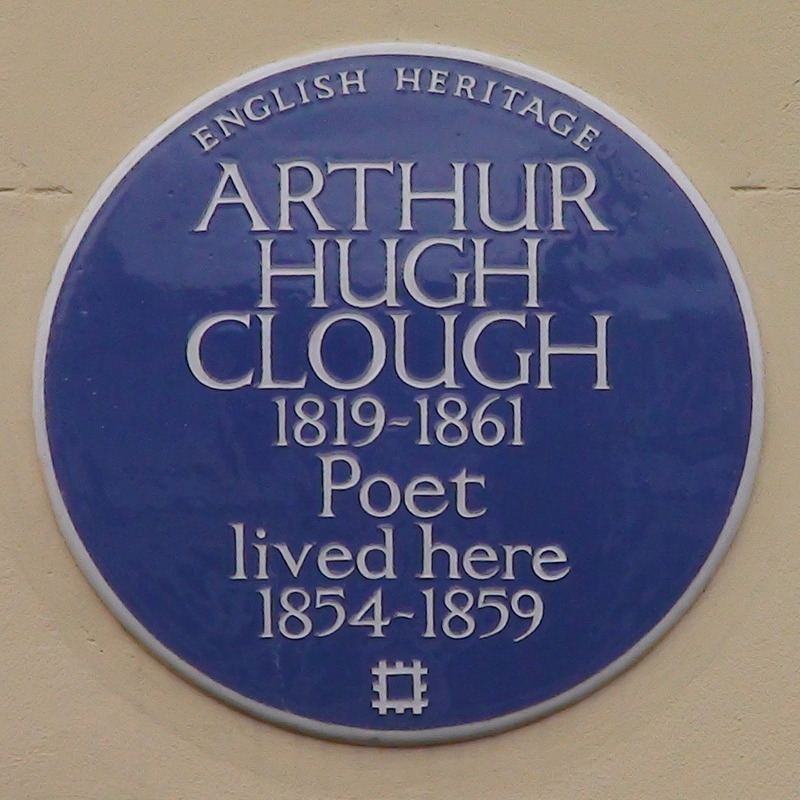 Clough had American connections but can that really be the explanation? Why Disney characters?